What is an Oregon Non-Compete Agreement? Oregon Non-Compete Agreement: What Is It? In Oregon, a non-compete agreement serves as a measure of protection for companies who are worried about their employees disclosing their trade secrets and business practices to competitors. 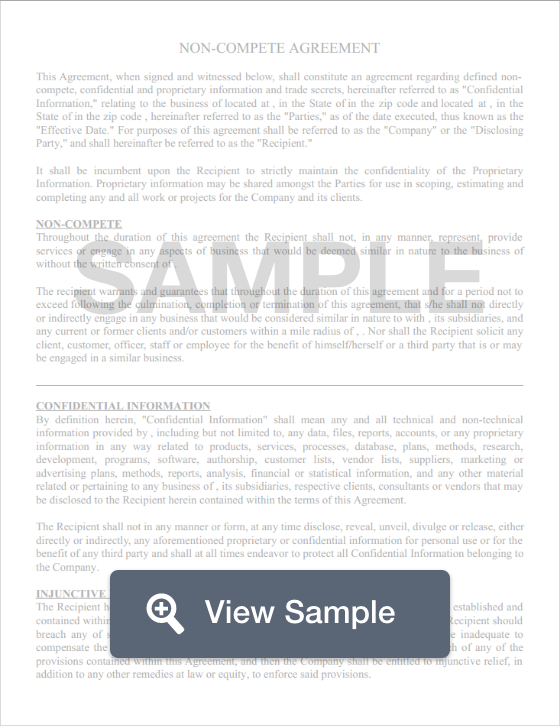 Non-compete agreements give employers a written promise that the employee will not leak sensitive information to competitors once their employment comes to an end. These agreements often prohibit an employee from working with a competing company for a certain period of time, and similar companies within a certain geographic radius. According to revised statues in Oregon, non-compete agreements formed after July 1st, 2016 are voidable and will not be enforced unless the employer provides at least a 2-week notice in an employment offer letter that a non-compete will be required.